Kylian Mbappe was the latest star to slide out of PSG's decimated squad as conflicting reports mentioned a rumoured falling out with head coach Tuchel and minor fitness concerns as possible explanations. That left the champions without each member of their star-studded front three and desperate for established leaders like Marco Verratti, Thiago Silva and Edinson Cavani to return. 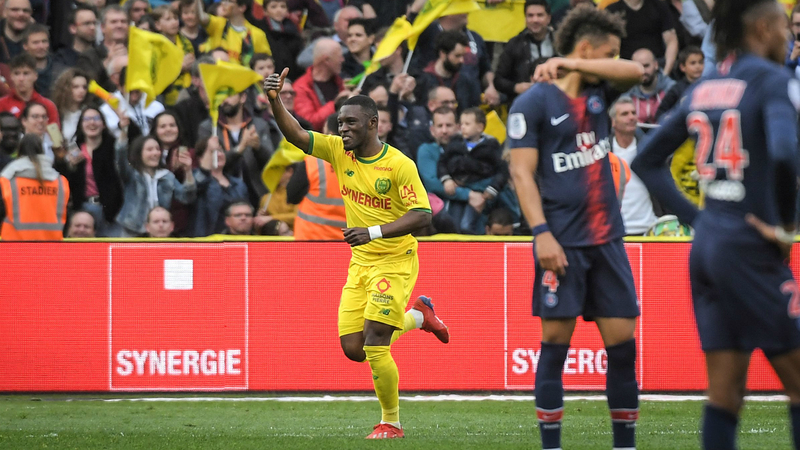 - Nantes have won their first game against PSG in Ligue 1 since October 2004 (1-0). It is also the first time they scored at least three goals against PSG in the top-flight since January 1995 (3-0). - Nantes have won four of their last nine games in Ligue 1 (D1 L4), after winning none of the previous five (D1 L4). - PSG have lost two consecutive games in Ligue 1 for the first time since November 2011 (also two). - The Parisiens have lost three of their last seven away games in Ligue 1 (W4), after losing none of the previous 17 (W12 D5). - PSG have conceded at least three goals in two consecutive Ligue 1 games for the first time since March 2009 (v Marseille and Toulouse). - Metehan Guclu (20 years old) has scored his first goal in Ligue 1 after only 15 minutes and with his second shot.